BeyondSurvival challenges the current agenda, assumptions, mind-set, and sacred cows of the Jewish establishment, which has largely accepted as a given and become resigned to its communal decline. Instead, BeyondSurvival offers an alternative vision for the Jewish future—a paradigm shift, one in which individuals can find an open and accepting community that joyously and creatively celebrates their sacred way of life. A future in which we can all grow and thrive. BeyondSurvival begins by taking an in-depth look at the obstacles that currently prevent our growth as a people. This is the survival agenda that has served the Jewish community well in the past but now needs to be laid to rest. Change is never easy, but Rabbi Bookman, drawing from his decades of experience as a pulpit rabbi and innovator, shows the reader the path to surmount them. In each successive chapter, BeyondSurvival looks at the opportunities that are in front of us—from active conversion; emerging Jewish communities around the globe; a new understanding of intermarriage; a realigned relationship of mutuality with a pluralistic Israel; a post-modern understanding of Jewish identity; reimagined synagogues and reinvigorated Jewish institutions; and a community that is truly an open door to all. 3 Who Is a Jew? 8 Israel: Ingathering or Impediment? Rabbi Bookman, as is his nature, and as is so sorely needed, speaks truth—without fear of consequences. Far from shying away from sacred cows, he brings experience, intelligence, empathy, and chutzpah in addressing the major opportunities and challenges of our time. Read, share, discuss, and thrive. We are living in a time when Jews who care about the future of Jewish communal life cannot shrink from asking radically big questions about how our institutions function. Terry Bookman models such an approach in this book. Even if you don’t agree with all of his prescriptions, you will be enriched by the boldness of his approach and provoked—in a good way—to figure out how you can contribute to the next stage of American Jewish life. One of the most remarkable yet little known religious and social phenomena of recent times is the transformation of vast swathes of Central and South America from conservative Roman Catholic to Evangelical and Messianic Christianity, which includes strong pro-Israel sympathies and Judaising tendencies. 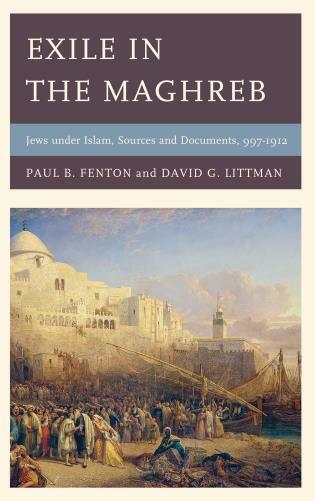 In this maelstrom of conflicting ideologies Bookman’s remarkable and moving book describes a separate but linked phenomenon: the emergence of powerful Jewish identities that demonstrate yet again the indomitable will to survive of the Jewish spirit. In the afterword, Rabbi Bookman suggests how this can all take shape, positing that a thriving Jewish community can be actualized only when we all thrive. Against all the inertia, resignation, negativity and pessimism that pervades our world, BeyondSurvival is a breath of fresh air, hope, and practical, achievable direction for a bright future that we can create together.